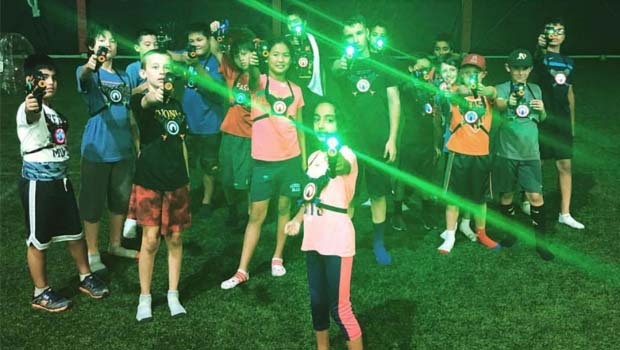 Total Sports Complex Wixom Summer Camps – Total Sports Complex (TSC) in Wixom is now offering week-long summer day camps all summer long. TSC provides a fun, safe and stimulating sports arena with counselors who are well trained in child care and entertainment. Boys and girls ages 5-12 can enjoy a huge variety of fun and educational games and activities designed to keep kids moving. Enjoy obstacle course, gym sports, movies, arts & crafts, trivia and more all summer long. TSC Wixom Summer Fun Camps give children the opportunity to play fun physical activities such as soccer, baseball, flag football, etc. as well as educational games, arts and crafts, even science experiments! Camp will be packed with outdoor activities, indoor games, and Friday fun-day with pizza party and water sports included – so be sure to bring a bathing suit. No need to worry about the weather, TSC Wixom has multiple indoor and outdoor turf fields so games will go on, rain or shine. TSC Summer Camps Before and after-care is available. Lunch and snacks are available for purchase or children can bring their own. Camp costs are as low as $60 per day. Individual day options available or choose the entire week. TSC offers a $50 discount for siblings when each are registered for an entire week. Call 248-669-9817 for more information, or register online through the DASH portal at www.totalsportscomplex.com. For more info on Total Sports Complex Wixom Summer Camps, visit www.totalsportscomplex.com.